We’re a team of advisors and match-makers for impact-driven partnerships. 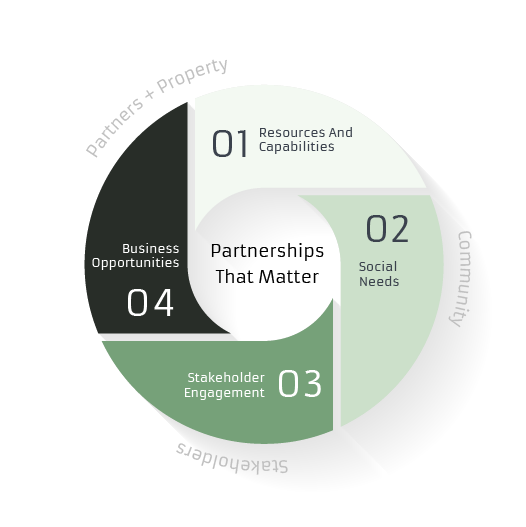 Great partnerships skillfully apply a business model that generates true value for all stakeholder. This requires a strong commitment from both the property and its partners to collaboratively leverage their resources to improve the social and economic conditions of the communities they serve, in addition to enhancing their competitiveness. Contributing to positive, sustainable social change isn’t a CSR program – it’s a pathway to building a relevant brand. We build partnerships that speak to the heart as well as the mind. By looking at every element through a human lens, we’re able to develop partnership platforms that not only empower brands, but reputations as well. And that’s important! Because people want to buy from, engage with, and work for, companies they admire and respect. Citizenship is amongst the top 3 global drivers to build a reputable brand. Pathways allow us to foster successful, high-performing collaborations that are geared to deliver short-term wins and build towards long-term goals. Together, we reach important milestones and continuously seek to optimize the partnership’s performance and impact. Workshops and creative sessions about impact-driven partnerships. Partnership and activation strategies to address short to long-term goals. Research, representation, negotiation, and management of your partnerships. Multi-channel engagement programs to bring your partnerships to life. Captivating stories of your organization’s social contribution, efficiently delivered to your audience. Performance tracking and recurring optimization sessions. We measure success on short-term wins, long-term stakeholder engagement, and positive social impact. 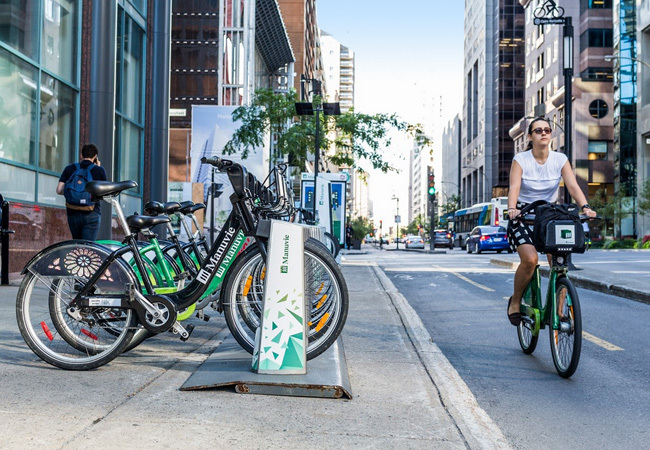 Following BIXI’s 2014 restructuration, Montreal’s bike-sharing organization needed to revive its brand and sponsorship platform. TED Sponsorship successfully scouted the ideal title sponsor and continues today to support the BIXI team in its pursuit to bring its sponsorship platform to life. 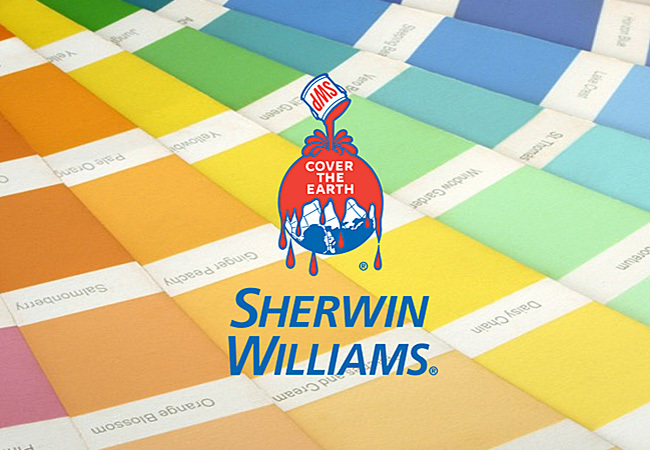 TED Sponsorship orchestrated a community outreach program for Sherwin-Williams that proved that colours could genuinely do good. 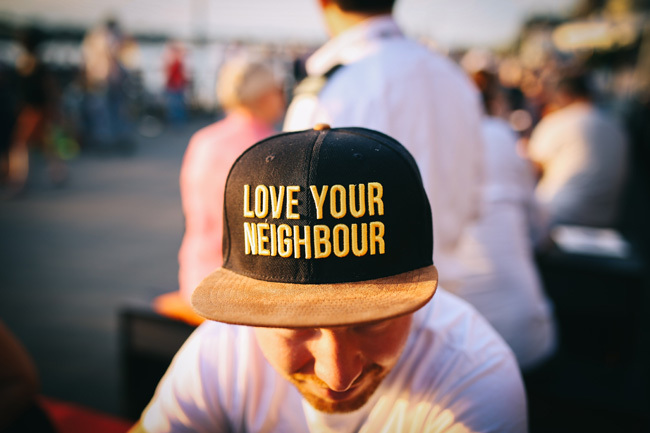 In celebration of its 150th anniversary, Sherwin-Williams launched a contest with the objective to execute several exciting community-based projects that would positively impact the life of Quebecers. 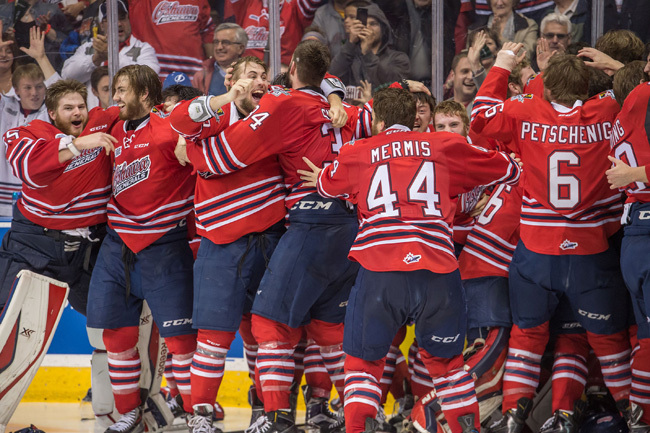 The Canadian Hockey League (CHL) is a non-profit organization and one of the biggest provider of scholarships in Canada. Its mission is to support young hockey athletes who leave their families at a young age so that they also become good community members. More than 1,300 young hockey players live with billet families and depend on several programs for their wellbeing, their professional and social development, and their education. TED Sponsorship secured partnership revenue, contributing significantly to fund the programs for our young Canadian hockey players across the country. © 2018 – tedsponsorship.com – All Rights Reserved.